Interesting, but who really wants to spend their life reviewing their life? My brain already records, catalogs, and recalls events in a better and quicker format than a video. I can recall something instantly just from a specific sight, sound, smell, taste, or touch. 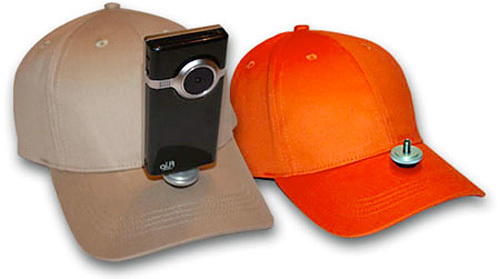 This sort of thing (though body mounted, not hat mounted) is in use by police in the UK and Australia. Video evidence like this keeps both the police and those complaining against them honest.